To Love a Rose: No Way! 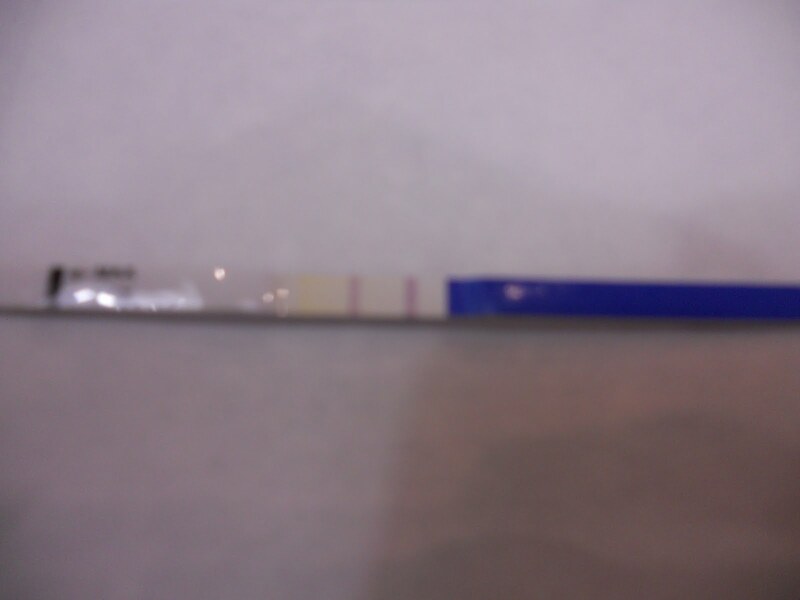 A Positive OPK! 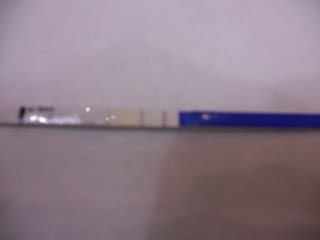 Yes, I know it's kind of icky; but that, folks, is a POSITIVE OPK! Wowee! It's CD 17, and I've been keeping up my end of the bargain with daily tough exercise, a low-carb diet, and weekly acupuncture (in fact, I just had a session yesterday). I attribute this success mostly to my acupuncturist, Dr. L. I have no doubt at all that his treatments have made all the difference - what an amazing blessing when God sent me his way! Now, this doesn't mean that I'll get pregnant this cycle; but it is exciting to know that my body is capable of healing itself and that my cycles might be able to get back on track naturally. How amazing would that be?! No matter what the outcome, there are amazingly wonderful things to be grateful for. One of those things seems to be stress relief. I'm a typical "type-A" personality - full of vim and vigor, a good leader, a self-starter, but also full of the constant stress and anxiety over my worth, my work, and my circumstances that most type-A'ers struggle with. Yesterday at my acu session, Dr. L picked up on my blatant stress situation and suggested he put some needles in my arms for stress relief. I usually feel pretty calm and soothed during an acu session; so, I didn't really notice anything different at the moment. When it was all said and done, he put tacks (you know, those little needles attached to "band-aids" from this blog?) in those same spots in my arms and sent me on my way. Mr. C had come to pick me up at Dr. L's office since he was running errands in Springfield; and I told him immediately that I was feeling extremely tired, almost loopy. He suggested we get some food, which we did; but afterwards, the loopy feeling turned into uncontrollable hysteria. I literally could not stop laughing! At first, it was kind of funny, but after about 45 minutes of nearly constant laughter my abs, lungs, and face were in pain - ouch! I don't think I've laughed that hard in a really long time. I have to say, even though Mr. C probably thought I had lost it entirely, it was worth it. I really needed a good laugh. Sometimes it still amazes me what acupuncture has been able to heal in my body within just a few short weeks, as opposed to months and months and months of pills, injections, and other treatments from the medical world that did nothing. God is the greatest comedian of all; I'm sure He's having a good laugh today.